(J.A.T.) paperback, 23x26 cm, 112 pages, first 1998 printing with CD, sealed. In 1992 we introduced the book 'Hawaiian Spirit'. In celebration of the 25th anniversary of the Aloha via Satellite performance we are offering a completely new publication with 85 never before issued unpublished photographs plus a gathering of some extraordinary color shots. The text will detail every moment of this crowning achievement, including some never before released documentation. Included in the book will be a 5 track RCA. special product CD, a limited edition available only with this publication featuring the 1973 top twenty single 'Steamroller Blues'. The CD will be issued in a special 25th anniversary jacket. A Must Have ! last copies ! In 1992, we produced our first edition of this book titled "Hawaiian Spirit." 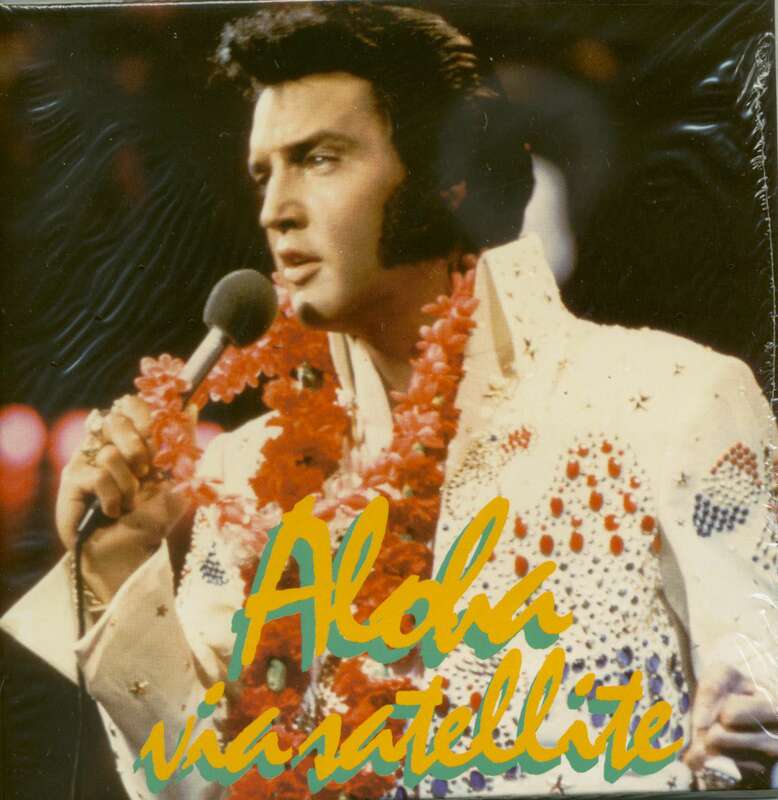 My feeling then, as it is now, was that Elvis Presley believed in the true spirit of Hawaii and it really showed in this performance which was tele-vised live via satellite around the world. 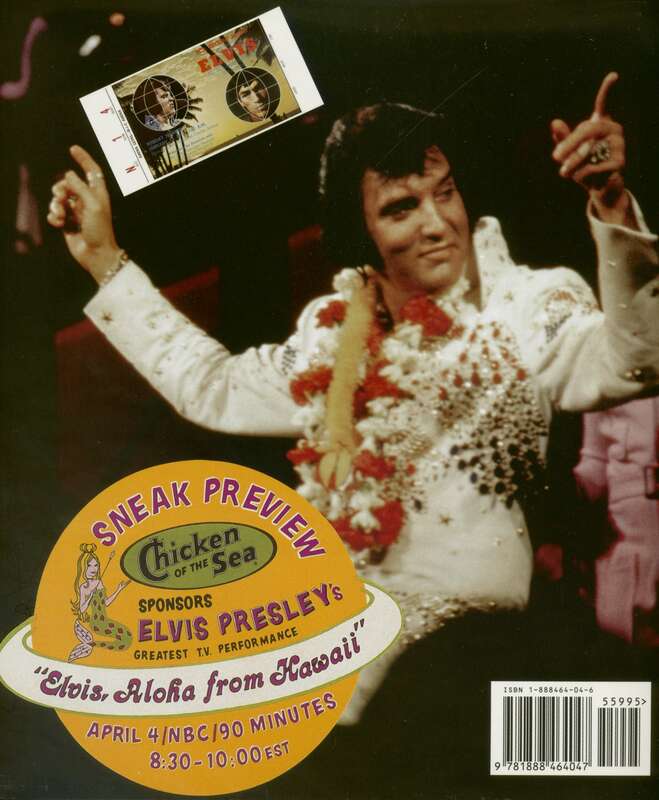 Elvis loved the excitement that Hawaii brought forth, and when he left the stage after completing a near perfect performance, it was obvious that he was delighted with the out-come. Could he have been remembering those early trail blazing perfor-mances back in 1954, singing in high school gymnasiums or on the back of a flat bed truck, as he stood on stage in front of a worldwide audience of an eventual 1.5 billion people? 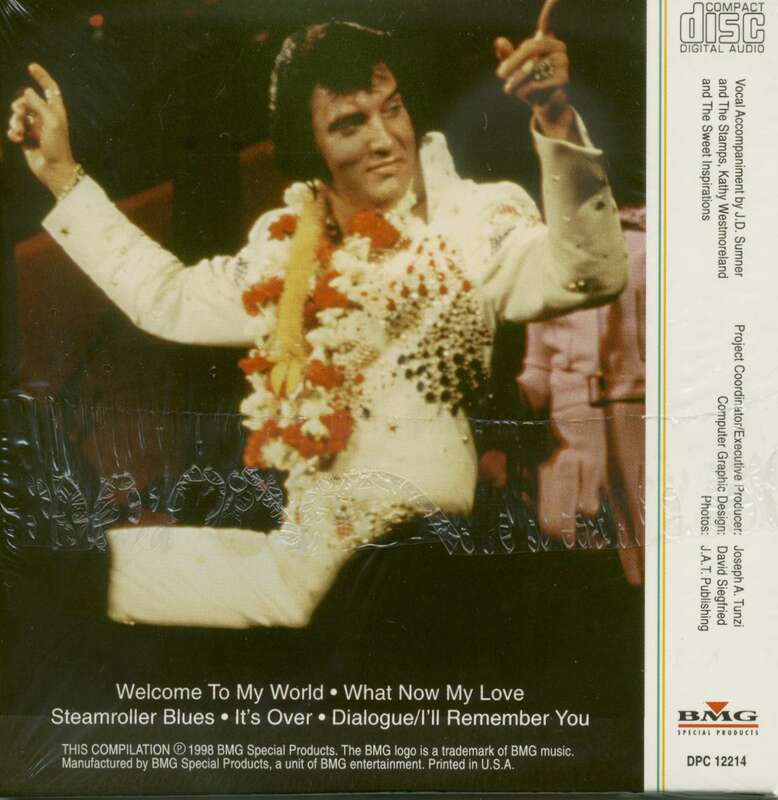 As we celebrate the 25th anniversary of the show, the opening song on the enclosed CD seems to have a more mean-ingful title: "Welcome To My World." Back in 1973, it certainly was his. (J.A.T.) Broché, 23x26 ​​cm, 112 pages. 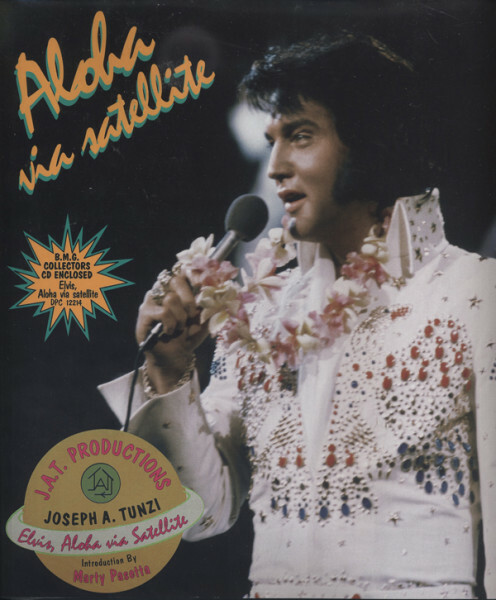 Évaluations de clients pour "Aloha Via Satellite (Book&CD) Joseph A. Tunzi"